In today’s busy world, we are starting to look for faster and easier solutions for all our needs. This is also true when it is time to get in the kitchen and cook something for our family. It seems we just do not have time to scramble some eggs or cut up the vegetables for a casserole anymore. We need more convenient ways to get things done in the kitchen. I know we would all like to be that person who has a get-up and go mentality that never fizzles out. But the reality is, we do get tired by the end of the day. However, when we have a family to feed, we just do not have the convenience of going to bed hungry. Most people, moms especially, must make sure the family is fed. In today’s food and appliance markets, there are several ways we can achieve a home-cooked meal without the hassle of the preparation time. Some of these types of appliances are well-known household items and then there are some that you may have never heard of. I tend to think that the number one product that every busy household should have is a slow cooker or some would call it a crockpot. This handy item can make a meal while you go to work and continue cooking your meal as you come home and run straight off to take the children to ball practice. All you have to do is stick your ingredients in when you leave for the day, set it on low, and when you finally arrive home in the evening, you have a full meal waiting. What if you are running late for work and you forgot to set your coffee machine to brew automatically the night before? Well, don’t fret too much, you will not have to speed into the kitchen and try to load your machine up with coffee while spilling it all over you in the rush. There are now convenient little coffee machines that are easy enough to use in the hustle and bustle of a late morning. One cup coffee machines are a true convenience to a busy lifestyle. With many different brands, Keurig probably being the most recognizable, all you will need is water, a coffee cup, and those convenient little pre-measured Keurig pods. Then, it is as easy as filling the water, popping in the pod and setting your cup on the machine to fill. That’s it. Even if you feel these types of appliances will not suit your lifestyle. Maybe you have no more counter room for another gadget or you simply like to use traditional appliances like your regular oven, then your local grocery store has many different convenient food options to take out of the box and pop in the oven when you get home from a hard day. Furthermore, if you do not have time to pop into your local supermarket for a meal kit, there are many companies now that deliver healthy meal kits to your door such as, Blue Apron and Hello Fresh. 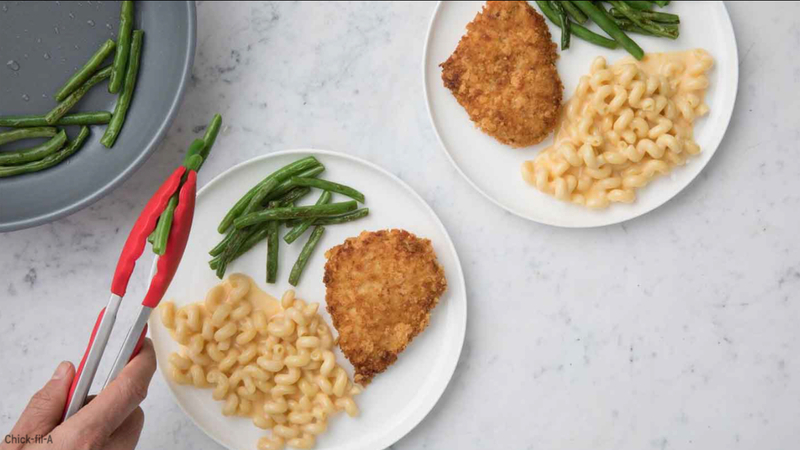 Even Wal-Mart and Amazon have joined the meal kit business. And finally, as you can tell, there are many ways to live in this busy, modern day world without stressing out. It is as easy as progressing and changing the way we think.